If you aren’t familiar with our latest Hollywood wallscape by now, you absolutely should be. 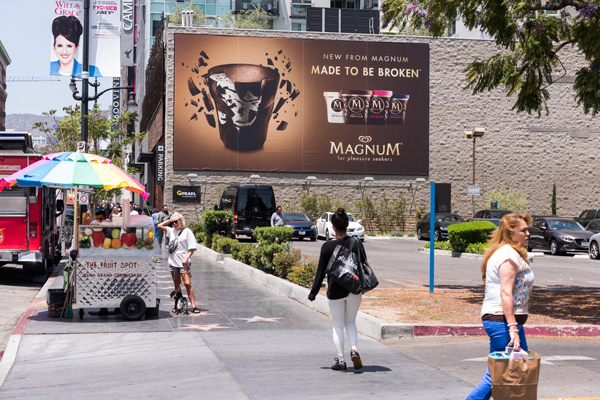 Featuring Magnum’s new ice cream tubs with a cracking shell, that’s one way to break in a new Out-of-Home asset. When an iconic duo like Beyonce & Jay-Z drop a new album, only the biggest and baddest Out-of-Home media will suffice. 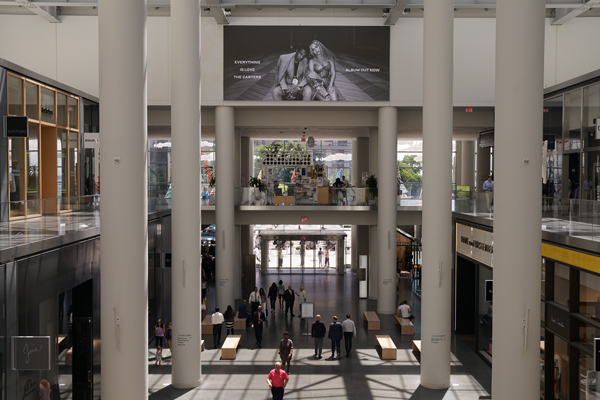 Pearl is definitely no stranger to star studded campaigns and Brookfield Place certainly fits the bill with its premier digital signage. If we didn’t know any better, we’d say these brilliant courtyard displays were a mock up. With its rich historical significance, no city does 4th of July better than Philadelphia. Targeting key areas of the city with epic holiday events, fireworks weren’t the only thing illuminating the streets. 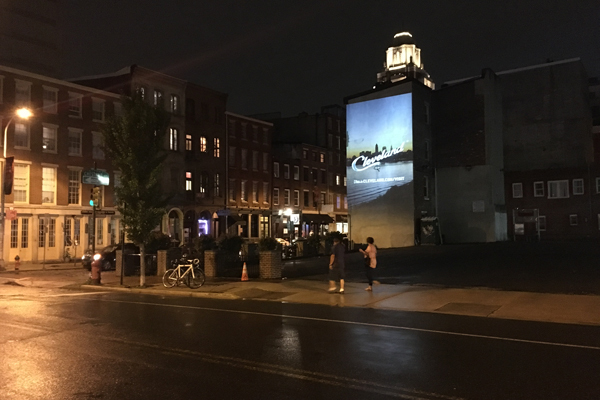 Pearl projected Destination Cleveland’s latest campaign on local building facades, promising a world of fun just past the other side of Pennsylvania. Austin and Brooklyn have a lot in common despite the half country distance between them, particularly the people. Chock-full of hipsters and hustlers, there’s no mistaking their likeness. 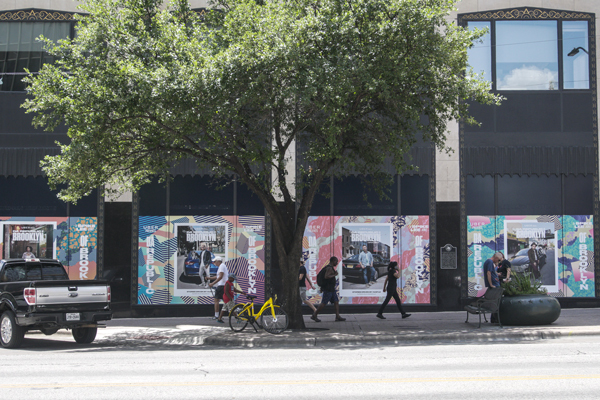 That’s why Pearl brought Uber’s latest film series, Da Republic of Brooklyn, to the streets of Austin with a storefront. Created by Spike Lee, this transcends advertising, manifesting the diversity and dreams of Uber’s Brooklyn drivers. We’re sure everyone has found themselves immersed in the excitement of the World Cup. Our Account Executive, Felipe Itzep, is a shining example. 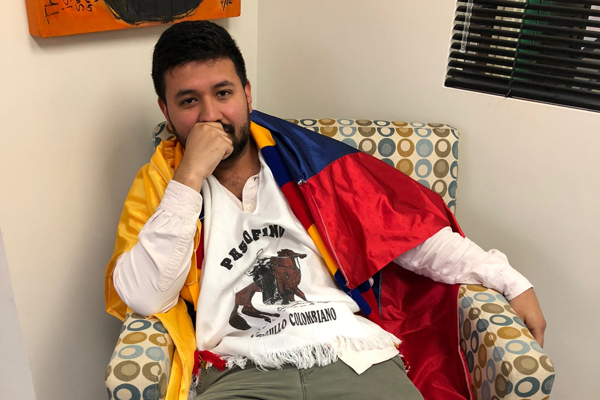 Decked out with his Colombia attire, he nervously watched his home team of Colombia take on Senegal the other week. Remember to breathe Felipe!